Save even more with a Pre-K Printables Club Membership! Find out how you can join today! Save money with a Pre-K Printables Club Membership which gives you unlimited access to ALL of my printables (including this pack)! Be sure to add plenty of "Green" to your Art Space this week. Consider adding different shades of Green Crayons, Markers, Paper and Paint to your free art shelves. 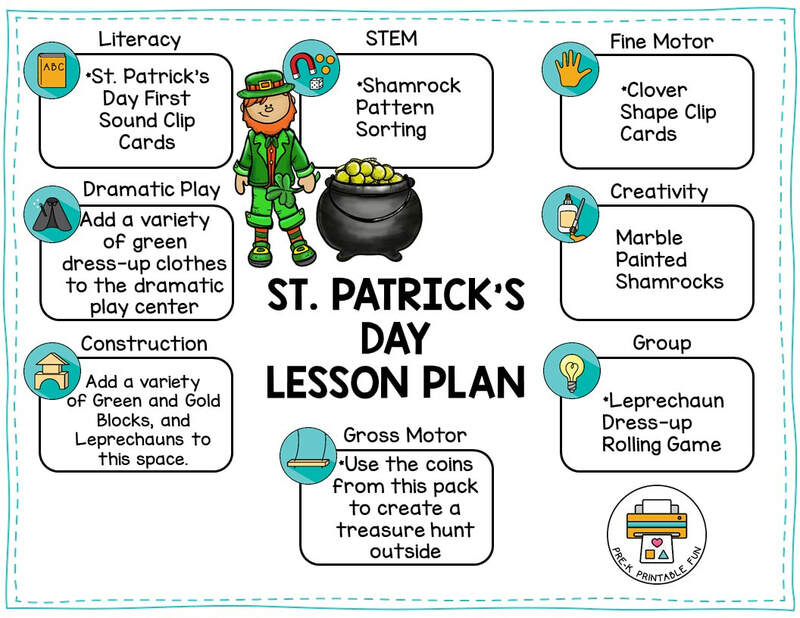 Add a variety of Green Dress up clothes, and Leprechaun Dress-Up Items to your dramatic play space this week. Add Cauldrons and pretend "Gold" to space. You can also add a box of St. Patrick's Day Decorations and let the Children decorate their own space. 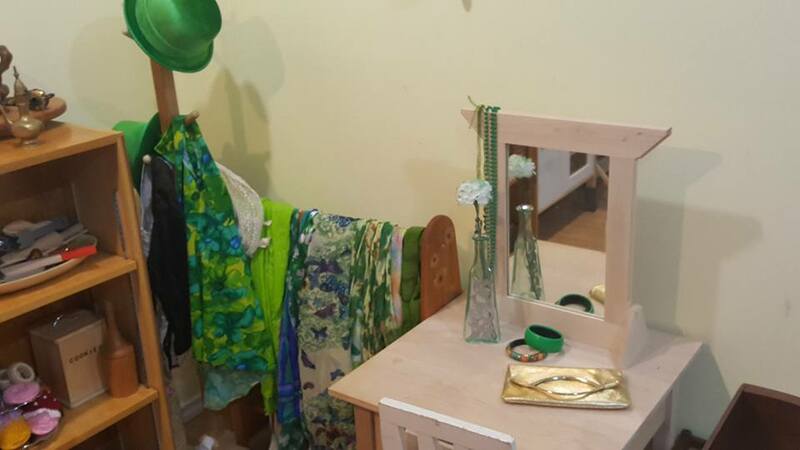 Community Member Laurie P. of Pitter Patter Dayhome added several St. Patrick's Day inspired dress up items to her Dramatic Play Space. Let's turn the Construction area Green this week. Swap out your blocks for all green building options. You can add a variety of Gold, and Leprechauns to this space as well. Check out this fun DIY St. Patrick's Day small world play activity by Sugar Aunts. St. Patrick's Day Sensory Bin from Melanie P.
Drawing Rainbows with sidewalk chalk, or going on a Treasure Hunt.